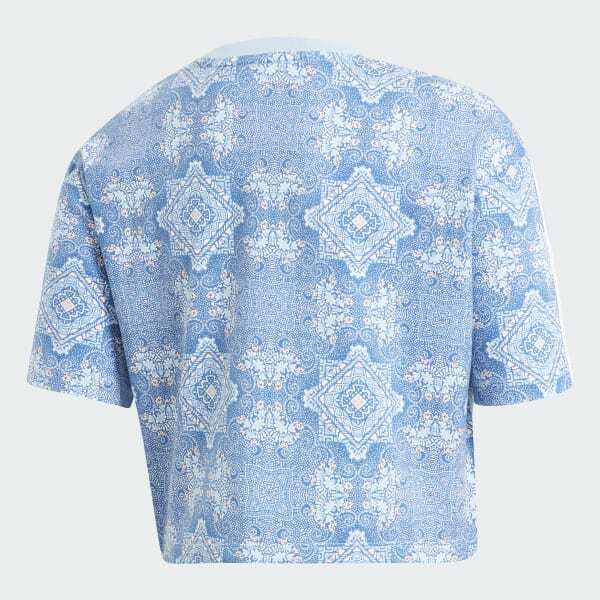 A cropped tee with a print inspired by four cultures. Four cultures meet in the design on this junior girls' tee. Patterns from Australian aborigine, Indonesian, Navajo, and African cultures inspire its allover mosaic print. It has a cropped cut for a summery look, and it's made of a stretchy cotton single jersey for a soft feel.